The cast of Guardians of the Galaxy has released a letter in support of writer-director James Gunn. 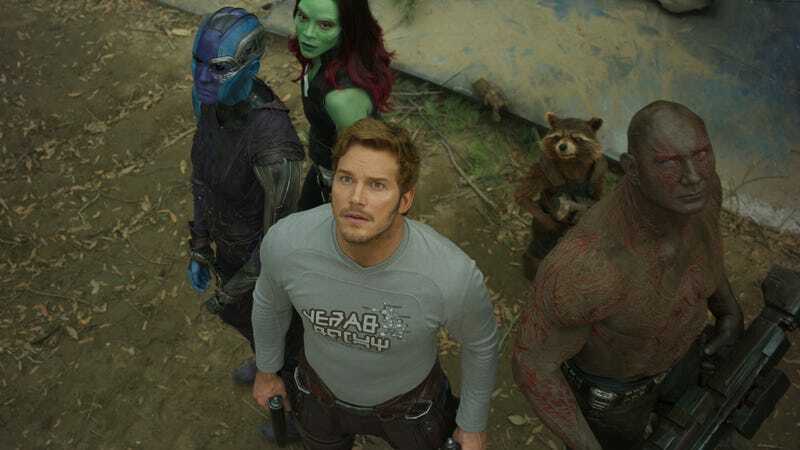 Guardians of the Galaxy cast members Chris Pratt, Zoe Saldana, Dave Bautista, Karen Gillan, Bradley Cooper, Vin Diesel, Sean Gunn, Pom Klementieff, and Michael Rooker have released a joint statement in support of writer-director James Gunn after he was fired from the third film earlier this month. Gunn, who directed the first two Guardians of the Galaxy films, was let go by Disney when offensive tweets of his surfaced from several years ago. Since then, there has been a vocal group of people calling for Disney, the company that owns Marvel and fired Gunn, to rehire him. In that time, though, only a few of the actors actually involved in the Guardians movies came out with public support. Now, however, all of them have signed the following letter. Being in the Guardians of the Galaxy movies has been a great honor in each of our lives.We cannot let this moment pass without expressing our love, support, and gratitude for James. We are not here to defend his jokes of many years ago but rather to share our experience having spent many years together on set making Guardians of the Galaxy 1 and 2. The character he has shown in the wake of his firing is consistent with the man he was every day on set, and his apology, now and from years ago when first addressing these remarks, we believe is from the heart, a heart we all know, trust, and love. In casting each of us to help him tell the story of misfits who find redemption, he changed our lives forever. We believe the theme of redemption has never been more relevant than now. Each of us looks forward to working with our friend James again in the future. His story isn’t over—not by a long shot. There is little due process in the court of public opinion. James is likely not the last good person to be put on trial. Given the political divide in this country, it’s safe to say instances like this will continue, although we hope Americans from across the political spectrum can ease up on the character assassinations and stop weaponizing mob mentality. It’s a strong statement with a lot of positivity to be gleaned from it. The question now becomes how Disney will react—and what happens if Gunn isn’t rehired on the film, which was expected to film early next year, and was likely to have a 2020 release. Why Do You Hurt Us Like This, James Gunn?